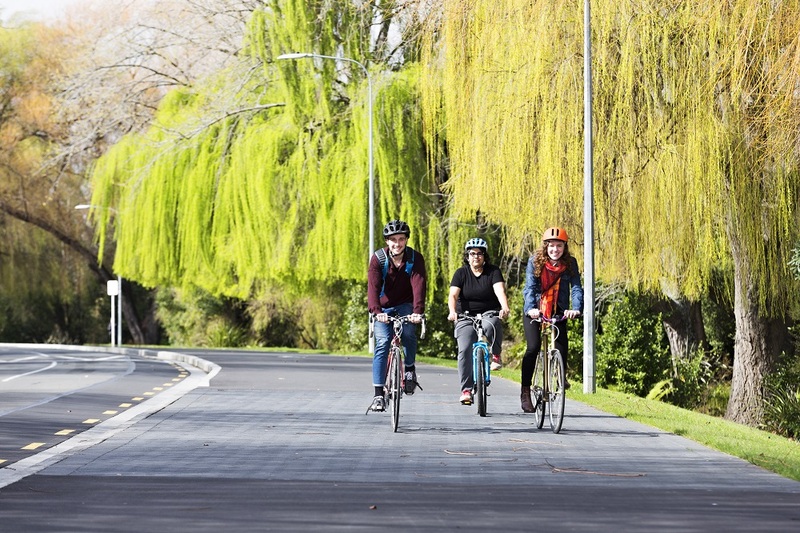 The Aotearoa Bike Challenge is a fun, free competition that’s all about seeing which workplaces can get the most people to ride a bike during the month of February (for just 10minutes or more!). Regular commuter cyclists rejoice: this is a great opportunity to encourage your colleagues to give cycling a shot during February. 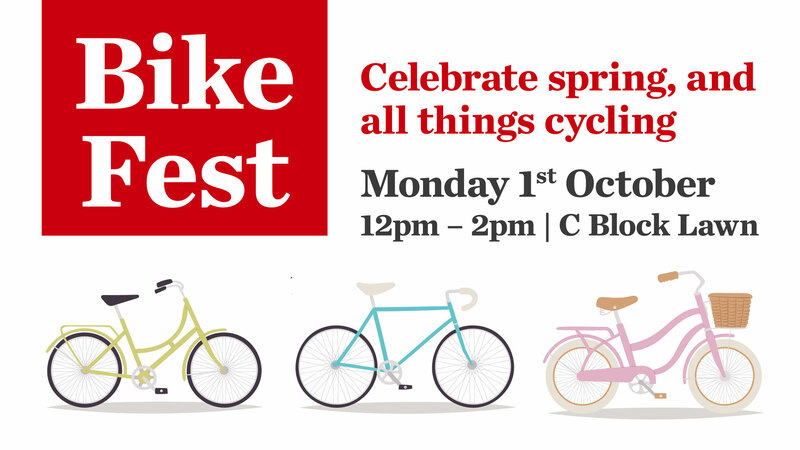 There is plenty of awesome prizes to tempt your team along the way (like cycle trips, bike accessories, chocolate, more chocolate, morning tea shouts and even a new bike!). Plus, there’s some great inter-department competition opportunities (bragging rights are totally up for grabs). You and your workplace team earn points for every km you ride, every day that you ride, and for every person you encourage to sign up across UC during the month. The competition is organised so we only compete against other workplaces of comparable size – UC falls into the 500-1999 staff category. By participating in the challenge you’ll earn individual points for days ridden, kms travelled and people encouraged, plus your points contribute to your department and organisation’s total tally. The best part is, it’s not just about cycling to work. All rides during the month count, so while cycling to work is a great option for some, we know it doesn’t work for everyone. You can log all rides: your commute, your weekend mountain bike, your family day out, or your trip to the shops! 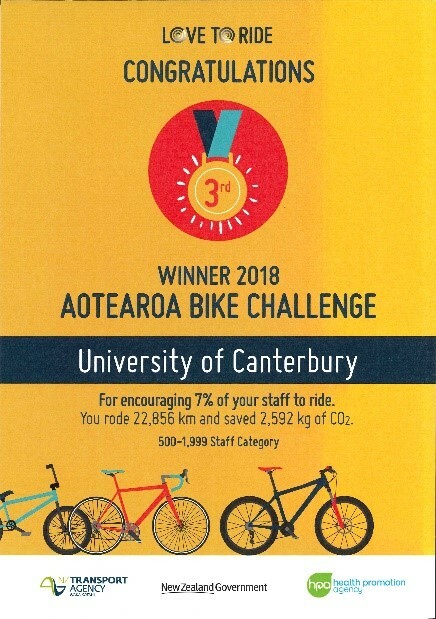 We’ve got a pretty good track record in the Aotearoa Bike Challenge, with UC coming third in our category for Christchurch last year! 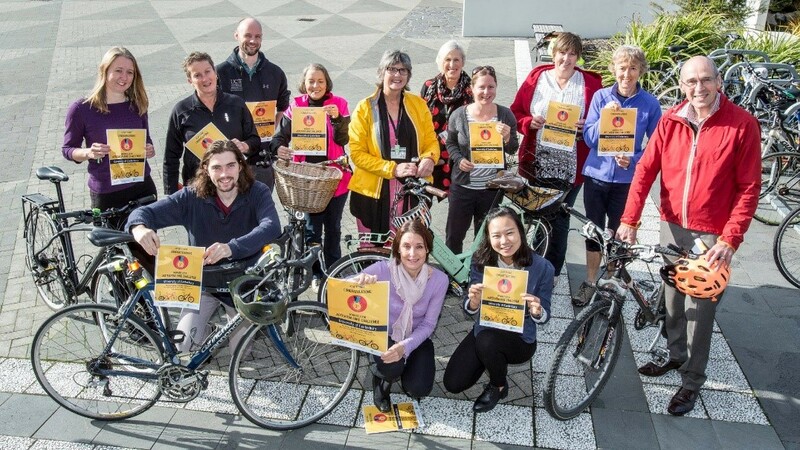 During Feb 2018, UC staff cycled a total of 115,467kms, with 9.5% of our staff registering a ride during the month. I’m interested, how do I take part? 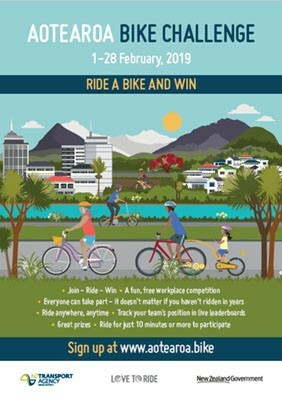 Register yourself and/or your department on the Aotearoa Bike Challenge website. Reward yourself and your team by winning prizes! Is your team already participating in the 2019 Bike Challenge, or planning to now? Let the Sustainability Office know! We would love to hear about it, so we can support you all the way. We’d love to see as many of you on your bikes as possible to kick of the New Year, and what better way to get some motivation than a fun challenge! 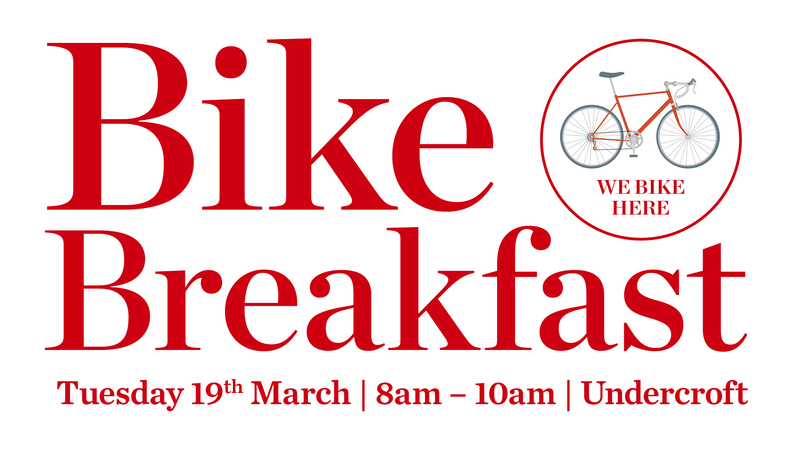 Remember, UC offers heaps of great services for cyclists, including the popular Dr Bike weekly fix-it clinic, our annual Bike Breakfast, new covered bike stands, repair stations and more. 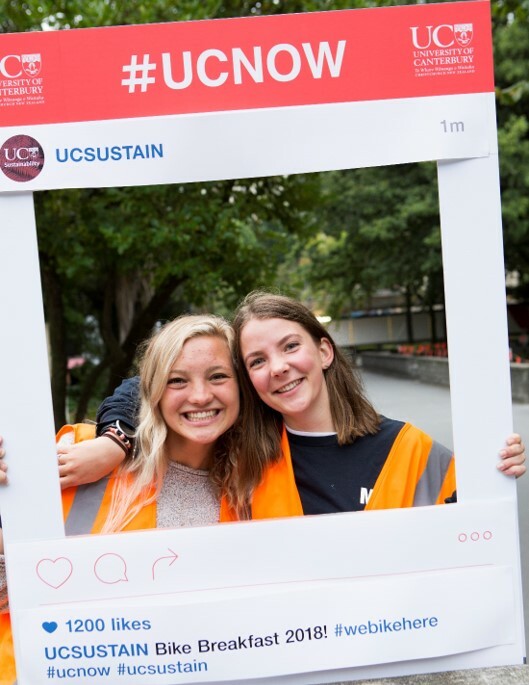 For all the cycle services, events and facilities on campus, see UC Sustainability’s webpage. This message was bought to you by the UC Sustainability Office. Stay connected, and be in touch with us! Follow us on Facebook or Instagram, sign up to our Sustainability Newsletter or check out our website for more information about what we do, and upcoming events. A big thanks to Diana Hinterleitner for providing the photographs for this blog.